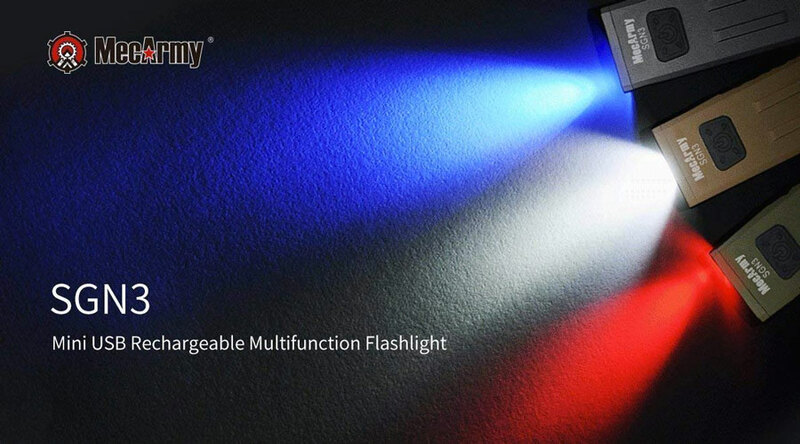 A trio of LEDs inside MecArmy's SGN3 mini EDC flashlight allows the torch to beam out your choice of white, red, or UV light through its CREE XP-2 emitter. At up to 160 lumens of output extending up to 130 feet ahead, that's more than enough RW&B to light up the night like it's the 4th of July. 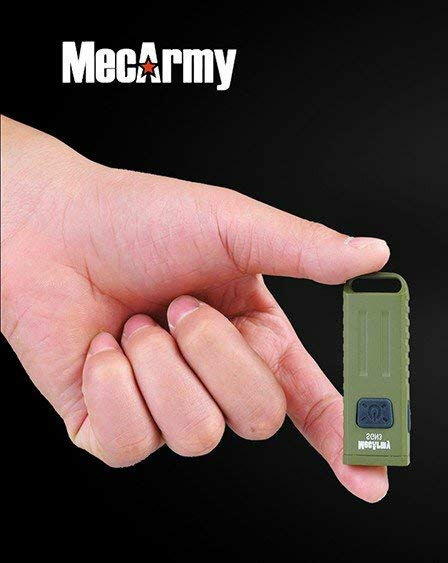 Which will be especially helpful when you're trying to find your house key and cell phone, signal for help, or suntan a little patch on your arm after getting drunk like it's the 4th of July. 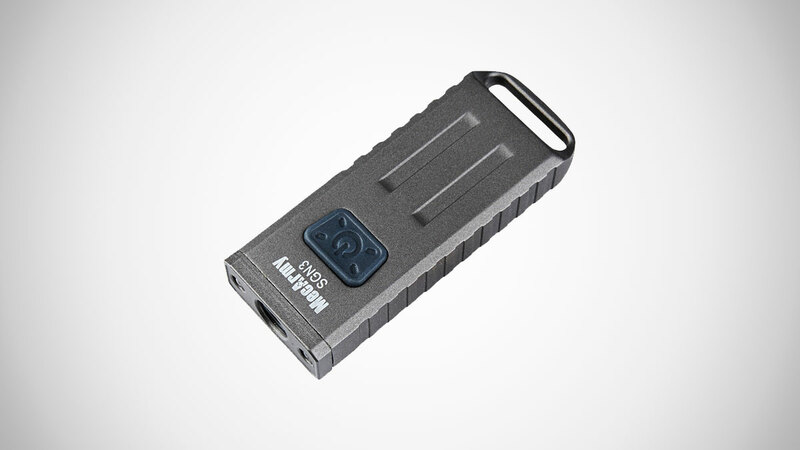 The SGN3 mini flashlight is rechargeable via a USB charge port cap, and has a 6-hour runtime on max beam output. Charge time is a relatively quick 90 minutes. 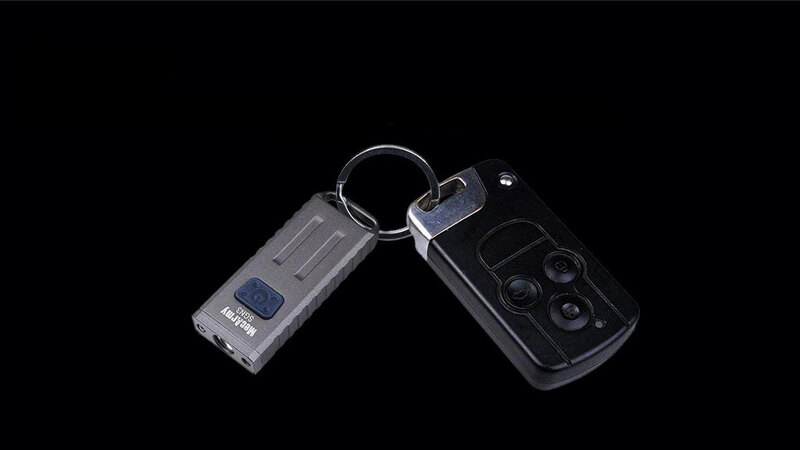 A U-tail end design enables easy attachment to a keychain or bag clip, and a button switch facilitates one-handed operation. 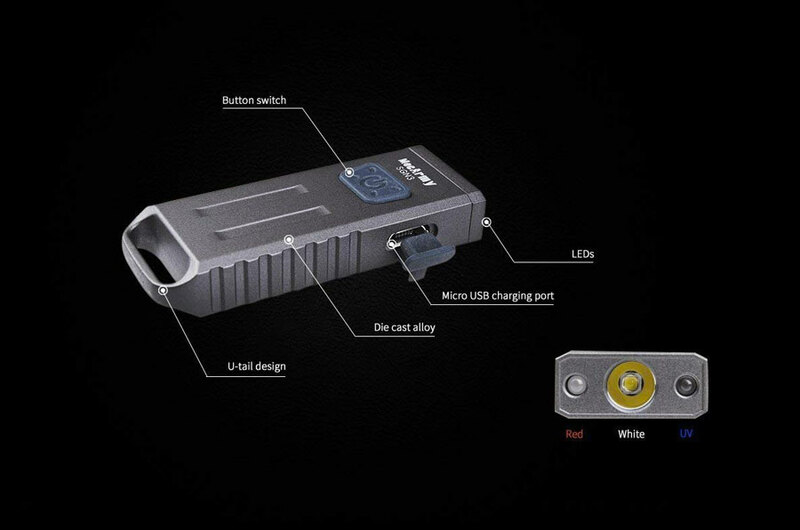 MecArmy built the flashlights to IPX-5 waterproof.